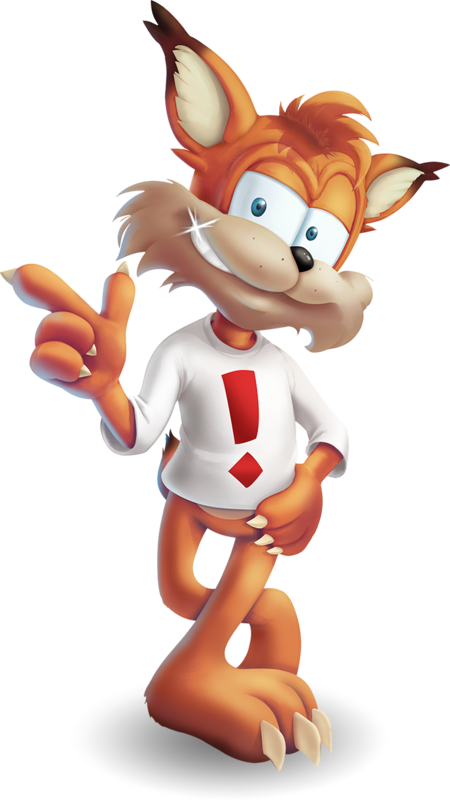 Game Legend Bubsy The Bobcat held his first Press Conference in over 20 years to announce his starring role in the upcoming PC/PlayStation 4 platformer, Bubsy: The Woolies Strike Back! Bubsy the Woolies Strike Back is an all new Bubsy adventure featuring Bubsy in a bevy of exotic locations as he travels the planet looking for the beloved Golden Fleece. Bubsy must use all of his classic moves and a few new ones to dodge and out bobcat a battalion of Woolies, sharks and bess, not mention the gnarliest UFO bosses to ever grace a Bubsy adventure. The wisecracking lynx also adds over a 100 new one liners to his lexicon to keep fans guessing what he’ll say next.! The game features the Havoc game engine designed by German developer Black Forest, the same team that created the wildly popular Gianna’s Sisters franchise. Bubsy The Woolies Strike Back Will be to be released this September, on the PlayStation Network and on Steam for PC.